2. 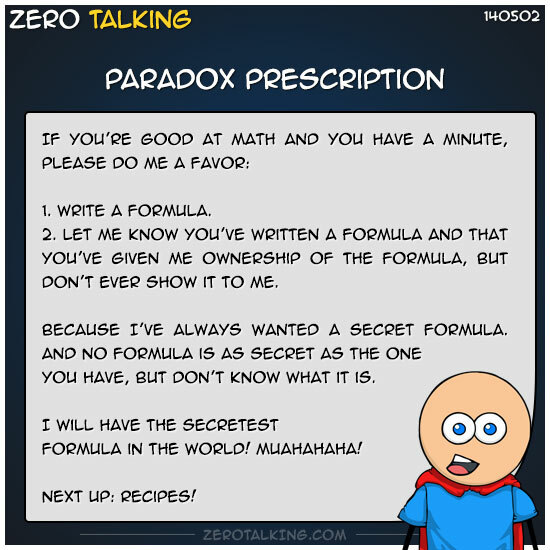 Let me know you’ve written a formula and that you’ve given me ownership of the formula, but don’t ever show it to me. Because I’ve always wanted a secret formula. And no formula is as secret as the one you have, but don’t know what it is. I will have the secretest formula in the world!